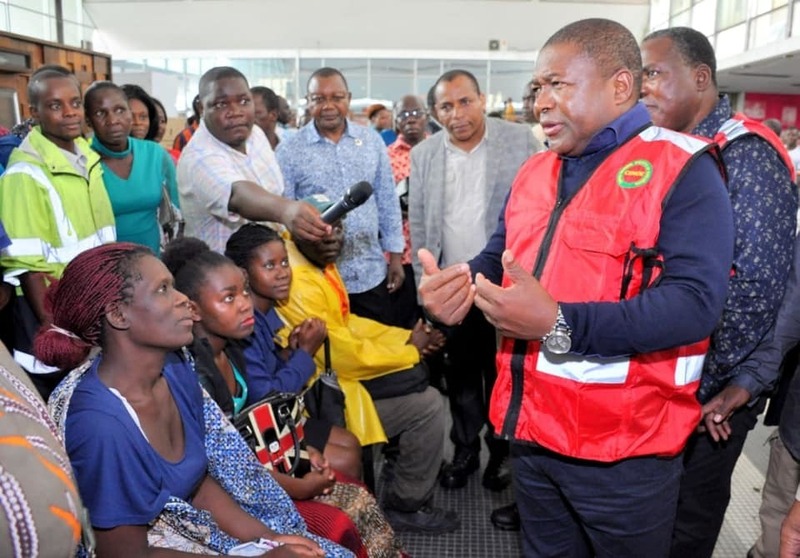 Ten days after Cyclone Idai left at least 750 dead and more than 100,000 scrounging for survival in Mozambique, Zimbabwe and Malawi on southeast Africa’s Indian Ocean coast, government officials and others turned to God for comfort in worship services on Sunday. Mozambique’s death toll rose to 446 from 417, a government official told Reuters Sunday. U.N. agencies suggested between 154 and 259 people died from the cyclone in Zimbabwe and another 56 in Malawi. President Emmerson Dambudzo Mnangagwa of Zimbabwe told his country during a service at the Methodist Church in Mabelreign, Harare on Sunday that the death toll was rising and could reach 200. "Some citizens were swept away to Mozambique and because of the decomposing state of their bodies, we have agreed that they be buried in Mozambique. Some could have been washed away to the ocean," he said according to 24 News. Mnangagwa declared two days of mourning for the victims and told his countrymen that it is in times like these people should look to God. "As people, we do not know anything. We only get to know something after it would have occurred but God knows everything, even things to come in future. Job lost all his children and wealth but he never turned away from God,” he said. "We should accept this although it is difficult, even for me. Sometimes we ask God why He allows such things to happen and also if He still exists. We cannot direct God but we just accept what He has done. Let us pray and seek God when we still can as disaster can come anytime and in different forms. We are all sinners and we should all go to Jesus when we are still alive," he continued.